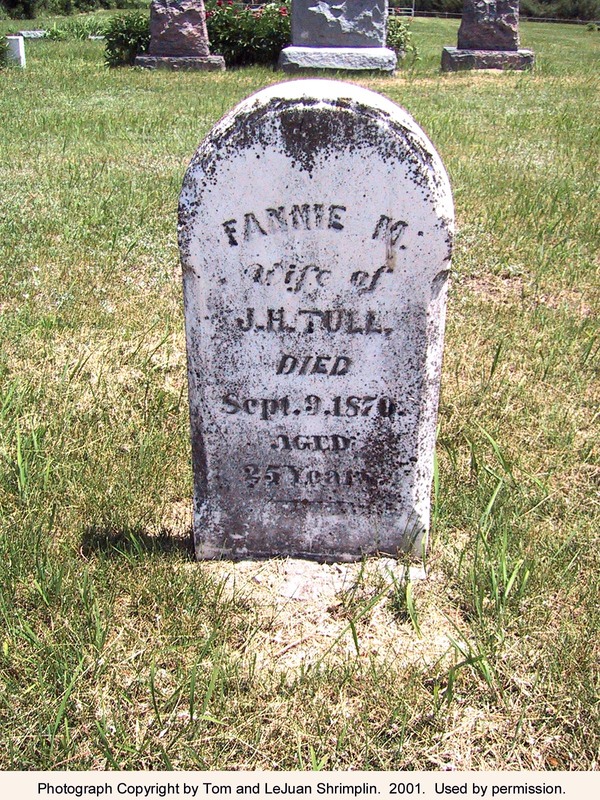 Historical Note: Fanny, wife of J. H. Tull, appears to be the first person buried here. She died 9 September 1870, age 25. Directions: From Randolph, take Highway 77, north about 7.5 miles. Turn left (west) onto Jerusalem Road and go three miles. 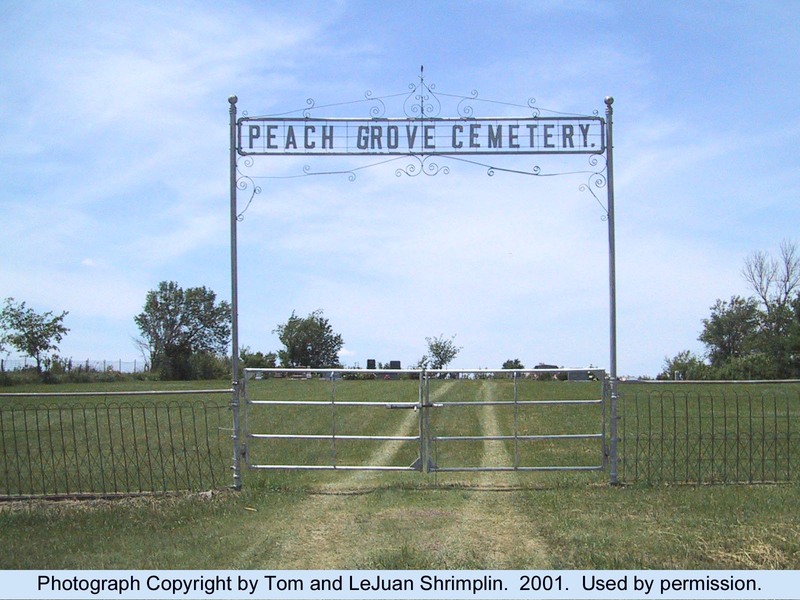 At the junction with Peach Grove Road, turn right (north) for .8 mile. Alternate Route: From Randolph about 3.5 miles N on Hwy 77, West on Winkler Mills Road 3 miles to Peach Grove Road, North about 3.8 miles, (.8 mile North of Jerusalem Road) cemetery on West side of road.